THE Peugeot 2008 appeals to those looking for ease of use, good all-round performance and value for money and quality at a modest price. They love the attributes of an SUV but may not necessarily want the bulk, they love the convenience of a small car but want a bit more space. 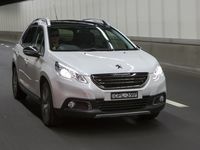 The Peugeot 2008 is a baby sports utility vehicle with more than 60% of its makeup coming from the 208 but is a little more spacious, a little taller and a smidgen longer. The 2008 is available here with a choice of three engines - a three-cylinder 1.2-litre petrol, a four- cylinder 1.6-litre petrol and a 1.6-litre turbo diesel. 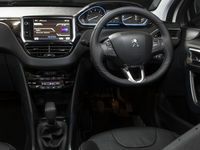 The interior of the 2008 has that Peugeot familiarity about it and from the outset it is obvious that keen attention has been paid to fit and finish. It is all about texture here, an eclectic mix that not only works to create a more upmarket feel but also distracts from the places, like the doors where the plastic is hard. The instrument cluster is snazzy, dials and buttons cleverly placed and the dash, dominated by a 17.7cm infotainment touch-screen, is clean and modern. Seats are comfortable, if a little flat, and despite the fact the 2008 has its heart in a small car it feels rather spacious. Consideration has been given to head and legroom throughout although for the long term it is better suited to smaller kids than taller adults. There are convenient storage options dotted around the cabin but the front cup holders are too far forward and on the small side and won't hold two coffees at once. Boot room is generous, 410-litres at rest growing to a credible 1400-litres with the back seats lowered, easily done thanks to a nifty one touch lever. Our test car was powered by a 1.6-litre petrol engine mated, in a rather mismatched fashion, to an out dated four-speed automatic gearbox. It is hardly surprising that it struggled a tad under load, was slow to extend itself and required much persuasion from standstill to any sort of rhythm. But once it gets warmed up though, the 2008 is a nice drive. Handling has always been Peugeot's strong point and it is here once again for all to see in this baby SUV's impeccable manners, in the way it melds itself to the road sticking to corners and staying balanced despite its taller stance. Yes, once it gets going it won't let you down but you have to be ready to signal your intention well before the start gate. There is little road noise and the 2008 is nimble on its feet, dealing well with the odd inconsistency and the even one as well. Steering feel is neither here nor there and that is to be expected but more importantly it goes where you point it and does so with panache. It is 10cm higher than the 208 but has no pretensions as an off-road option, a run on unsealed roads or negotiating a high pavement is about the limit of its adventurous nous. French marques usually err on the side of generosity and the 2008 boasts a number of fantastic features as standard including 16-inch alloys, reverse camera with rear sensors, front and rear fog lights, LED daytime running lights, 17.7cm infotainment system with Bluetooth and audio streaming and roof rails. Our middle of the range Allure adds full-length glass roof, auto headlights and wipers, dual-zone climate control, sat nav, leather trim and heated seats. Safety measures number six airbags, anti-lock brakes with emergency brake assist, electronic brake force distribution and anti-slip regulation, hill start assist and automatic activation of hazard lights under emergency braking. There has been great buzz in the small SUV market this year with a number of manufacturers throwing their hats into the ring. The 2008 will have to vie for attention with the Nissan Juke (from $21,990), Holden Trax (from $23,490), Fiat Panda (from $16,500 drive-away) and the recently released Ford EcoSport (from $20,790). 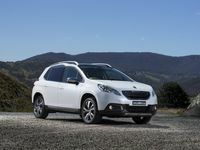 The Peugeot 2008 is a neat little package combining some of the benefits of a SUV with those of a small car. It has a good driver position, handy inclusions and is roomy to boot. We liked the smaller racier steering wheel and we also like the space-age hand brake which is a nice piece of design. The roof bars open up a wealth of storage and carrying options. While this city-based drive is more suitable to singles or couples it would be able to accommodate a small family. While official figures stand at 5.9 litres/100km for the 1.6-litre petrol, our week saw consumption on the dearer side much in part because we had to push it around town and up a number of hills. Peugeot offers a three year/100,000km warranty and a marvellous five year/75,000km capped price servicing plan with each service (12 months/15,000km) costing $369. The 2008 is certainly one of the nicer looking cars around with its sleek lines, sculptured aerodynamic design and uniquely shaped and streamlined lights. The rear spoiler shows off its profile and the wave roof is funky and modern. The front grille may showcase Peugeot's new design direction but we were fans of the snooty stance of the old order. What we liked: Nice handling and looks and impressive inclusions, awesome servicing plan. What we'd like to see: A lot more vroom. Warranty and servicing: Peugeot offers a three year/100,000km warranty with five years/75,000km capped-price servicing with maintenance due annually or every 15,000km. 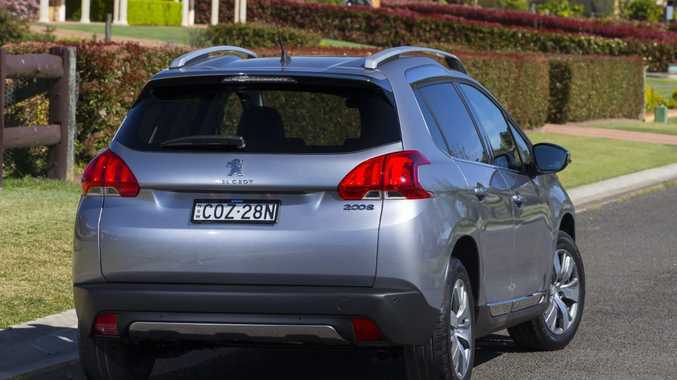 The inclusion of the 2008 has given Peugeot a more complete range allowing the manufacturer to capitalise on the penchant for SUV-like cars in city confines. The 2008 is a considered package with great looks inside and out, above-average handling and a very competitive price. The four-speed automatic gearbox, more attuned to European conditions, may be a slight hindrance here but there is little doubt the car itself will attract a steady stream of admirers. Details: Five-door front-wheel drive baby SUV. Engine: 1.6-litre petrol generating maximum power of 88kW @ 6000rpm and peak torque of 160Nm @ 4250rpm. Bottom line: From $24,900 plus on-roads (base model at $21,990).